To protect your network from cyberattack and improve your overall security posture, implement a best practice internet gateway security policy. Use the guidelines in this site to plan, deploy, and maintain your internet gateway best practice security policy. Apply security best practices to reduce the attack surface, gain visibility into traffic, prevent threats, and protect your network, users, and data. Learn the best practices for using WildFire as part of your network threat detection and prevention solution. Learn the best practices for keeping application and threat content signatures up-to-date seamlessly. Moving from port-based legacy firewall rules to App-ID™ technology-based ones greatly reduces the opportunity for attack. However, that transformation takes time, effort and resources. The new Policy Optimizer makes it easy. It uses simple workflows and intelligence gathered by PAN-OS to move from legacy rules to App-ID based controls and strengthen your security. Watch the video to learn how to implement App-ID on your next-generation firewall to protect against increasingly evasive threats and prevent successful cyber breaches. More traffic is being encrypted with each passing day, and the rate of encryption adoption grew by 90+% year over year in 2016. 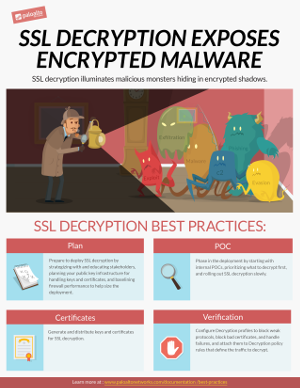 Without a sound strategy for implementing SSL decryption, is your organization blind to the threats may be sneaking past the firewall? 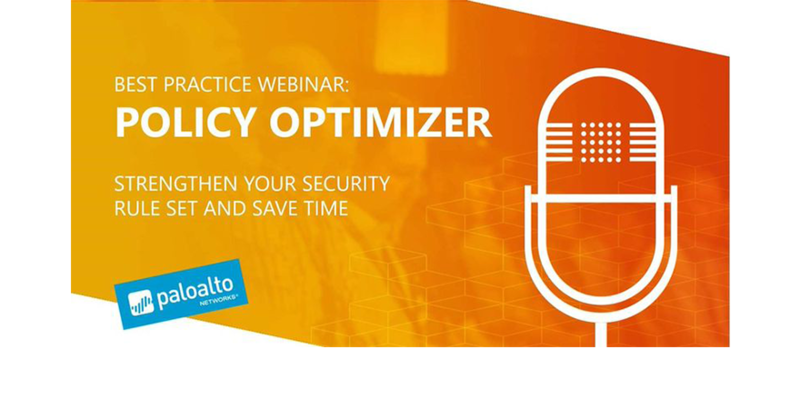 To use the power of the Palo Alto Networks security platform, come and learn about SSL Decryption best practices. Ensure complete visibility throughout the organization. Don't be blinded by encryption! Watch the video to learn how to implement User-ID on your next-generation firewall to maximize your security investments and defend your business from successful cyber attacks. See your network from the vantage point of an attacker and learn what attackers do to achieve their objectives. Learn how to map the specific steps an attacker takes to prevention technologies available on a next-generation firewall. Based on this understanding, you will know how to defend your networks using App-ID, User-ID, Decryption, Threat Prevention and WildFire. Next-generation firewalls from Palo Alto Networks® decrypt, inspect and then re-encrypt network traffic before it is sent to its destination. Employees are accessing any application they want, using work or personal devices, regardless of the business and security risks involved. The growth in SSL/TLS encrypted traffic traversing the internet is on an explosive upturn. Given the primary benefits associated with encryption, the private and secure exchange of information over the internet, compliance with certain privacy and security regulations – such as the Health Insurance Portability and Accountability Act and Payment Card Industry Data Security Standard, or HIPAA and PCI DSS – the trend in SSL adoption is expected to continue to rise.